We have been counted amongst the most trusted names in this domain, engaged in offering standard quality range of Power Transmission Concrete Pole. As per the needs and requirements of our clients, we are involved in providing Prestressed Concrete Fencing Pole. 8.5 mtr working load 180 kg.Breaking load is >800 N.
We offer a wide range of Concrete Lamp Poles to our clients. Made by using optimum quality raw material, these Concrete Lamp Poles are extensively used in the construction industry. Owing to the wide experience in this domain, we are instrumental in offering RCC Fencing Pole to our clients. 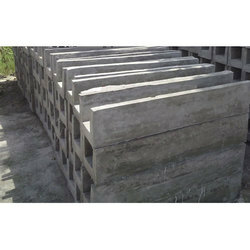 Being a customer oriented enterprise, we are engaged in providing a wide array of Concrete Fencing Pole.